Have you read any of these? What’s on your 2018 backlist? 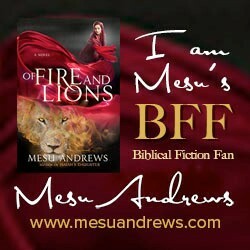 Image | This entry was posted in Christian Fiction, Top Ten Tuesday. Bookmark the permalink. Gosh! these are all so beautiful looking! I would definitely pick up The Lacemaker and The Pirate Bride if I saw them! Great list. I’ve read many of these, but still have Martin’s to read. I agree — too little time! I’ve only read one of these. Some of the others look interesting. I’ve read ‘A Rumoured Fortune’ but did not have any of the rest of these on my TBR pile. Which is not to say I don’t have a backlist. I do! Its extensive, with titles from a few years ago on it. From this year I have ‘A Refuge Assured’ by Jocelyn Green and ‘Light on a Hill’ by Connilyn Cossette, which I purchased last month. Also, I have some titles by Indy publishers including ‘A Perfect Weakness’ by Jennifer A. Davids, and ‘The Greenest Branch’ by P.K. Adams, which is about a Medieval nun and scholar called Hildegarde von Bingen. Can’t wait to read that one. Just being on your TBR is an honor! I read Missing Isaac, A Rebel Heart, and A Rumored Fortune. Great reads. I have all the other books (except the last one) on my TBR list and own quite a few of them but haven’t gotten around to reading them. Sigh. I’ve read A Rebel Heart, A Rumored Fortune, and Things I Never Told You. I have several of the others in my TBR pile.